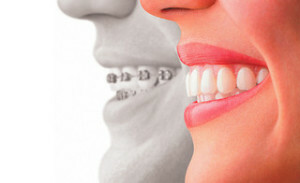 Home » Posts » Invisalign: Do it for Your Dating Life! Invisalign: Do it for Your Dating Life! The New Year is right around the corner and we say it’s finally time for you to shine with a gorgeous straight smile! If not for your sake, do it for your dating life! Yes, that’s right. The results are in from Invisalign’s new survey and it appears that getting a date can be a lot easier if you have a straighter smile! According to the results of their new study titled, “Singles and Smiles”, over 74 percent of single Americans would prefer to kiss someone with a nice smile than someone with crooked teeth. With over 2,000 U.S. adults surveyed, Invisalign revealed how big of an impact your smile makes when meeting a new potential partner. In fact, more than one-third of U.S. adults say that crooked teeth is a major turn off to them when it comes to the first kiss. In light of this, if you are thinking that maybe it is your smile that is preventing your from finding love as we near the New Year, you are not the only one! In fact, nearly one in five adults feel that they are being held back from love by their imperfect smile! Fortunately, at Kim Norman, DDS, Dentistry for the Individual, we offer Invisalign as an alternative to embarrassing traditional metal braces! Invisalign is an innovative new system for straightening your teeth invisibly! Because the system uses clear plastic aligners, you can straighten your teeth comfortably, quickly and discreetly. No one will even know that you are straightening your teeth! Every two weeks, you switch out one aligner for the next one so that your teeth shift into proper alignment. You do not need to have metal wires tightened with Invisalign. Instead, you simply visit us so that our dentists can monitor the straightening process of your teeth. When you choose Invisalign with us, you are choosing to straighten your teeth with an experienced and certified Invisalign provider. We have years of experience saving our patients from the embarrassment of crooked and misaligned teeth. Your fist visit entails a consultation with Dr. Kim Norman. He will review and evaluate your specific case to make sure that Invisalign is right for you. Then, he will create a treatment plan tailored to your needs. Pictures and 3D images will be made of your teeth and will be used to create your aligners. It is recommended that you wear your aligners for up to 20 hours a day, only taking them out to eat, brush or floss your teeth. Every two weeks you switch out the aligner for the next one. Usually our patients can complete the straightening process within one year with Invisalign. If you are interested in straightening teeth and improving your chances of finding that special someone, visit us at Kim Norman, DDS, Dentistry for the Individual or call us at (865) 982-9662.